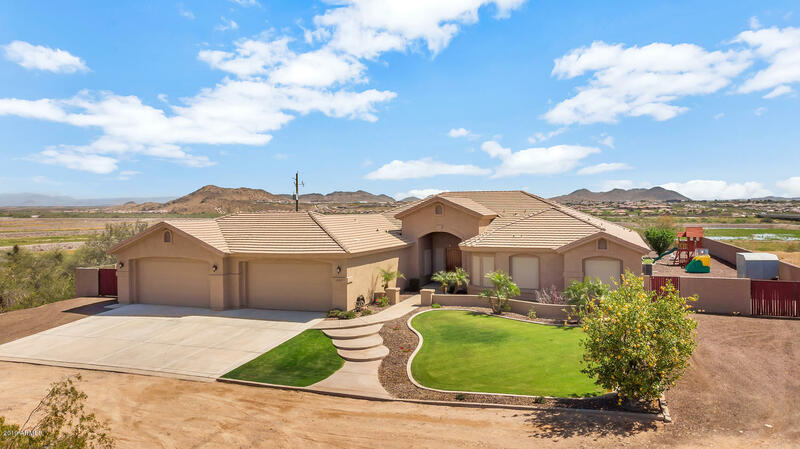 All PRIVATE AND VIEWS ARE AMA homes currently listed for sale in Peoria as of 04/20/2019 are shown below. You can change the search criteria at any time by pressing the 'Change Search' button below. "ABSOLUTLEY STUNNING and PRIVATE LOCATION ON NEARLY 1.5 ACRES*When entering this home you are GREETED WITH SOARING CEILINGS and GORGEOUS VIEWS FROM PICTURE WINDOWS LINING YOUR BACK WALLS*IMPRESSIVE COOK'S KITCHEN has ABUNDANT UPGRADED CABINETS, huge DOUBLE SIDED ISLAND, GRANITE counters and back splash, HIGHLY UPGRADED APPLIANCES, including DOUBLE OVENS and SUBZERO FRIDGE*Your OVERSIZED OWNER'S SUITE has a separate exit to the back yard and JETTED TUB and WALK IN SHOWER at bath*You have FIVE LARG"